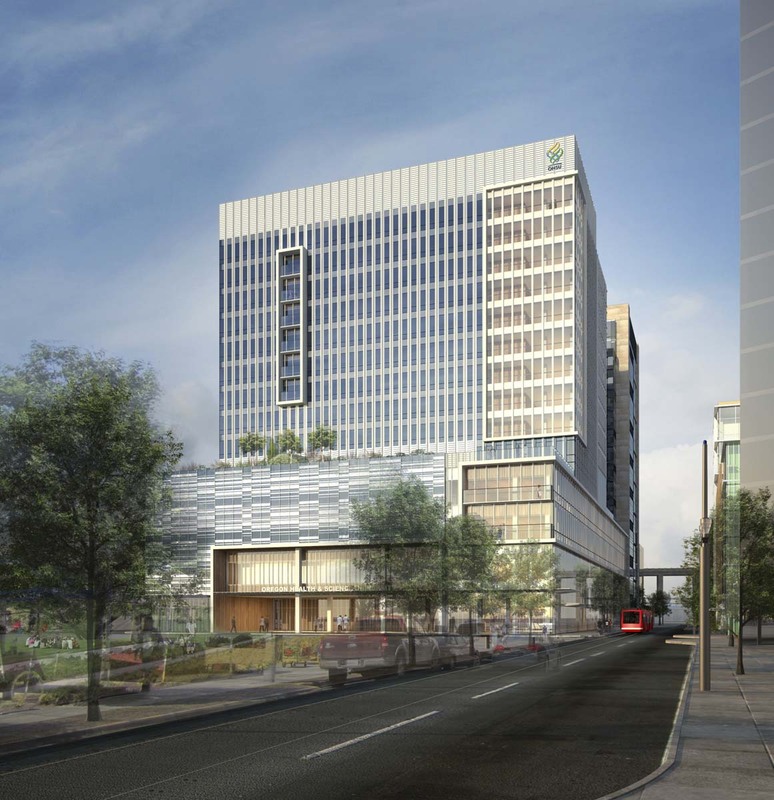 The Design Commission has approved the OHSU Knight Cancer Research Building. 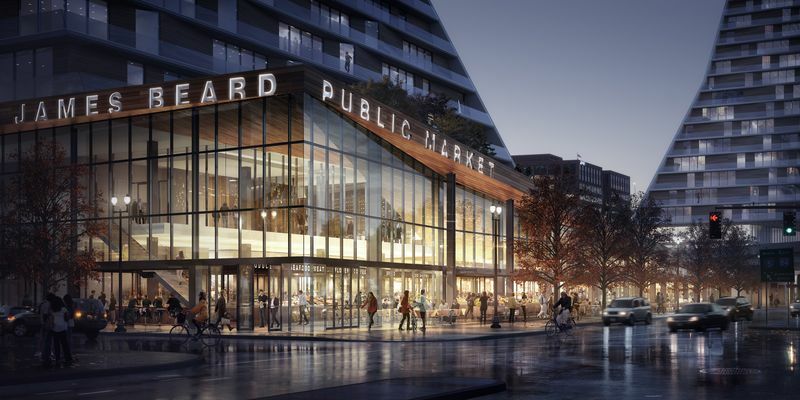 The 7 story, 332,000 sq ft building by SRG Partnership and Mayer Reed landscape architects will include a conference center, research laboratory space, research support functions, ground level retail, and offices. Two levels of below grade parking will be provided. 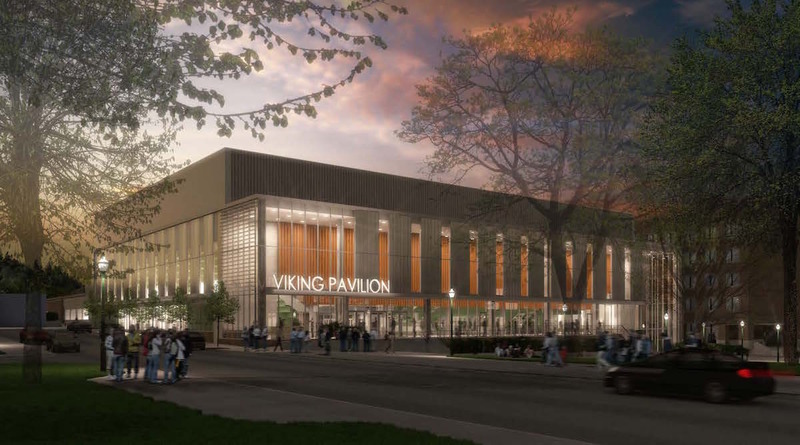 The Design Commission has approved designs for a remodel of the Portland State University Peter Stott center, which will include the creation of the new Viking Pavilion. 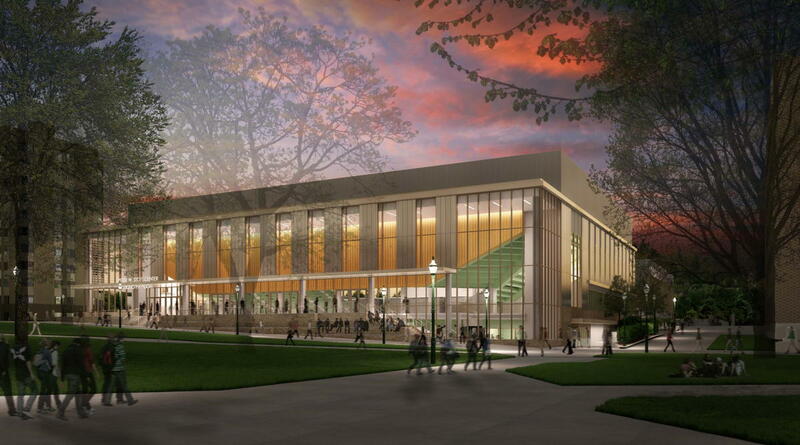 The project by Woofter Architecture, Sink Combs Dethlefs Architects and Lango Hansen Landscape Architects will create a new multi-purpose arena with seating for 3,400 people in the heart of the PSU Campus. As reported in March of last year, the building will also be used by OHSU, who are contributing part of the funding. Other functions to be located in the building include new classroom space, offices, a cafe and a student lounge. 62 short-term bike parking spaces will be provided. No vehicular parking is proposed. 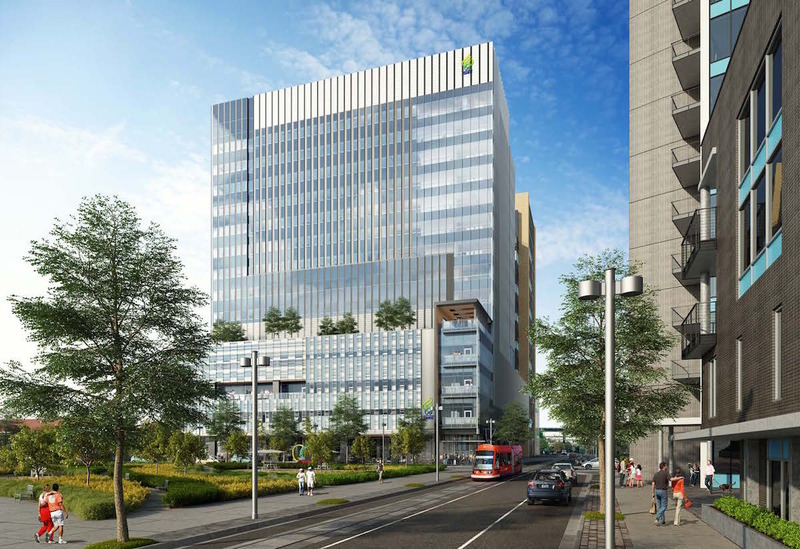 ZGF Architects have gone in front of the Design Commission with proposals for the OHSU Center for Health and Healing (CHH) South. The two block development will include a 15 story, 378,160 sq ft ambulatory hospital and research building on South Waterfront Block 29. 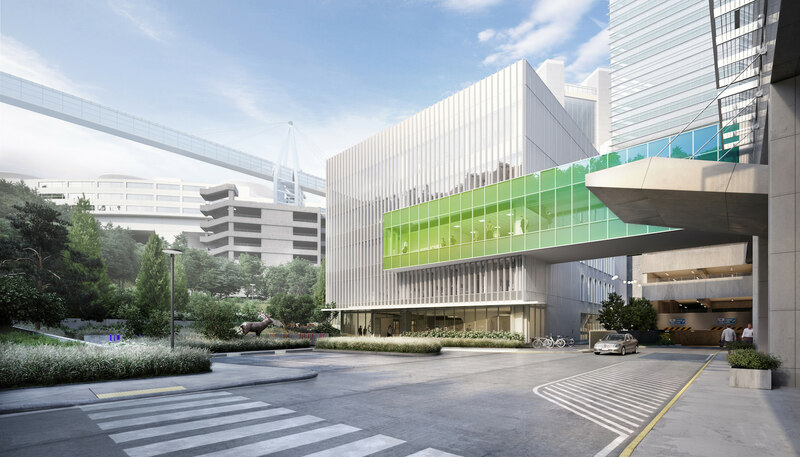 A skybridge will connect the new building to the existing Center for Health and Healing, located directly to the north. On Block 28 an 11 story patient housing and parking garage structure will be built. The delay in implementing the planned increases in Parks Systems Development Charges will save OHSU $1 million, according to a story in The Oregonian. OHSU is currently moving ahead with the Center for Health and Healing South and the Knight Cancer Research Building. The latter is scheduled to return before the Design Commission for a second Design Advice hearing on September 24th. As reported by the KATU, the Facebook group ‘Stop Demolishing Portland‘ held a protest at the corner of N Williams and Fremont. Almost 20 people turned up to protest nearby developments, which include the Cook Street Apartments, One North and Carbon12. BikePortland reported on Sideyard, a proposed building on Block 76W of the Burnside Bridgehead that may include a bike through window. The 20,000 sq ft building by Skylab and Key Development is proposed for the sliver of land across the street from Yard (formerly Block 67). An article in the Portland Mercury looked at the state laws that restrict ways to fund affordable housing. Lastly, KOIN featured Next Portland in a story about developments in Portland. 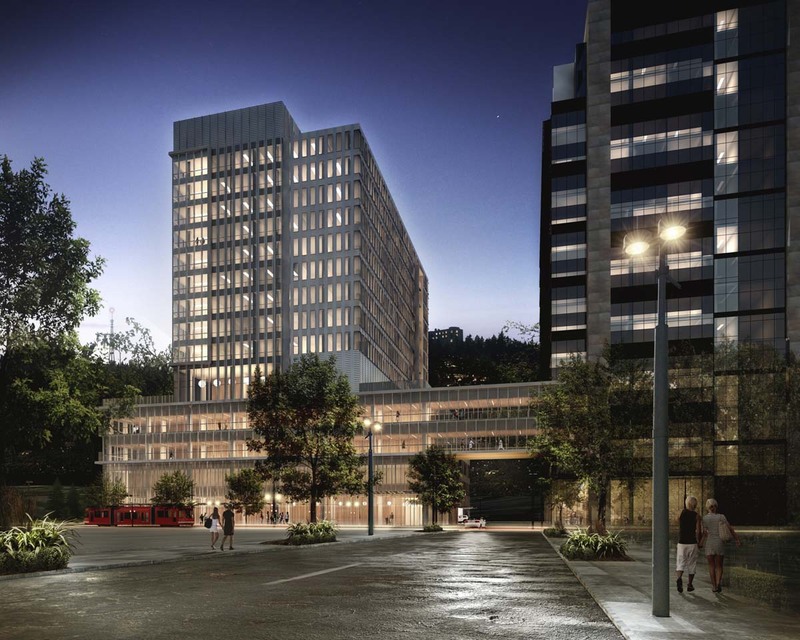 ZGF Architects have returned in front of the Design Commission for a second Design Advice Request concerning the OHSU Center for Health & Healing South. 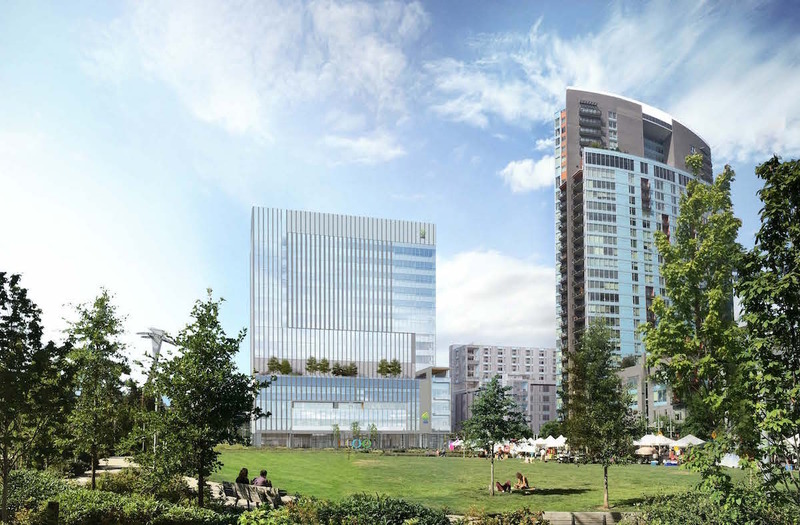 The $200 million project will include two new buildings on adjacent blocks in South Waterfront. 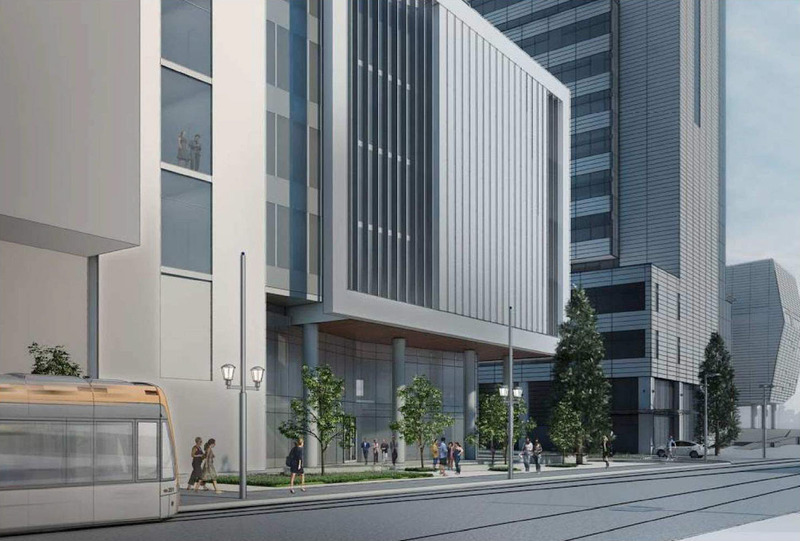 The proposed building on Block 29 will include five floors of “ambulatory hospital”, which OHSU defines as facilities for “highly complex outpatient surgeries & invasive procedures”. Above this is a cancer center, where clinical trials by the Knight Cancer Institute will be performed. Block 28 will include above grade parking, and five floors of subsidized guest housing for people receiving care in the adjacent facilities. New conference facilities will be located on the ground floor of Block 28, facing onto SW Curry St.